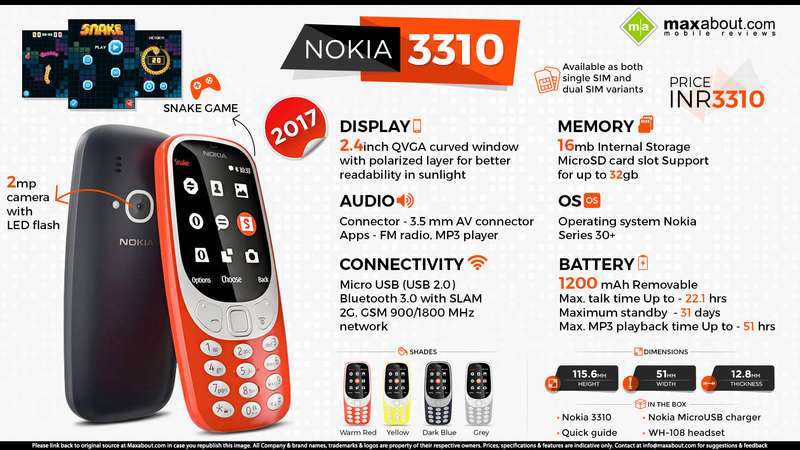 Nokia has officially launched the legendary 3310 in India for INR 3310. The phone was much awaited in the country after its launch in Europe for 49 euros. It will be sold offline through the vast Indian mobile dealerships. The reintroduction of the same can help Nokia bring bigger sales number into its side after a long interval of time. Read More about Nokia 3310.